The RobotFX Grid X was designed not only to open a determined set of grid trades, following the classic forex grid trading strategy, but also to detect the trend, the trade entries and to hedge. While trading with the grid, traders often increase the lotsize, hoping that the price will continue to go in their direction. However, most of the times the price reverses, therefore transforming a possible winning trade into a few losing trades. To prevent this, our forex grid expert advisor can safely decrease the lotsize of the next grid trades. 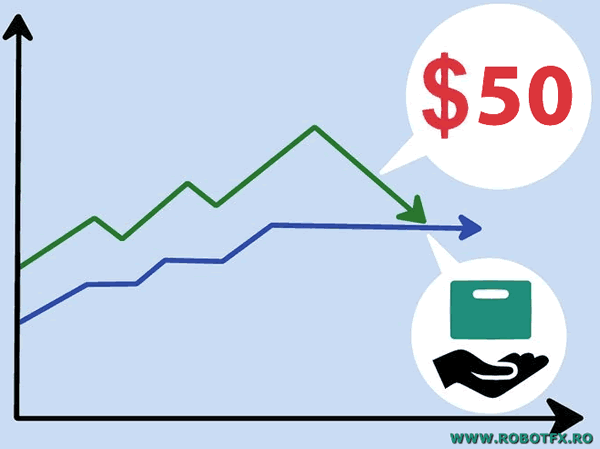 The lotsize can be increased or decreased for the hedging trades as well. 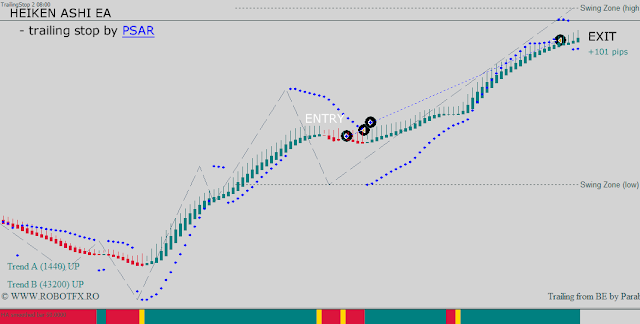 In downtrend (price below MA), the EA only openes short trades. 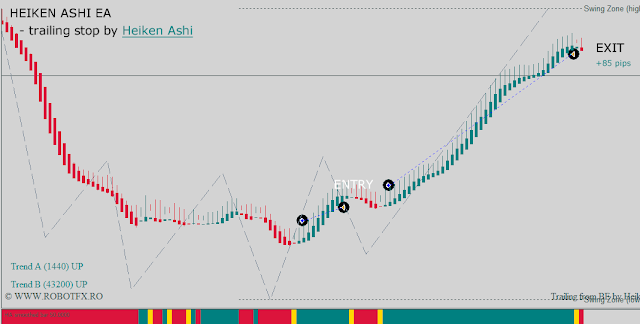 Stochastic gives the exact trade entry, when it crosses in the overbought zone (opposite for long entries in uptrend). 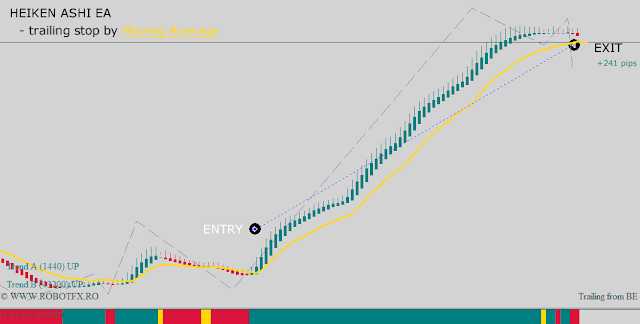 Besides the advanced grid trading capabilities, the Grid X expert advisor can be set to follow the trend and enter a precise moment. The trend detector is done by a moving average that the trader can customize (type, length, shift) and the EA will follow it by simply allowing long trades only when the price is above it, or short trades if the price oscillates below the moving average. 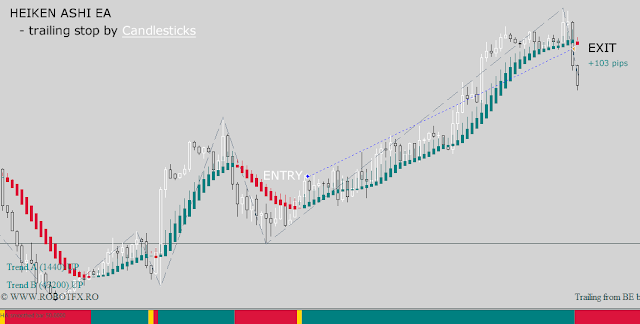 The exact entry is given by the Stochastic oscillator, as in the MetaTrader trading example above. Stochastic, with the correct settings, can be customized to match any other MetaTrader indicator - so, if the traders would like to use other signals to enter a trade, they can load on the same chart Stochastic and their preferred indicator and match their signals. 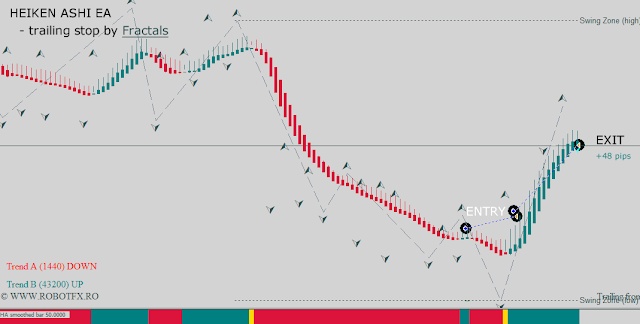 Then use the same Stochastic settings within to trade using the grid EA. 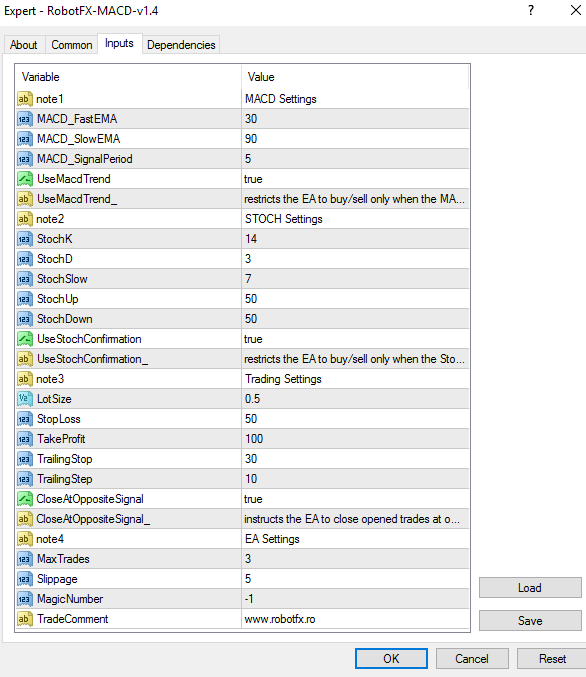 Below are some examples of trades opened and closed by the grid EA based on stoploss, take profit, trailing stop or the MinProfit (see the Settings). Because of its hedging capabilities, the Grid X doesn’t offer too many options to close a trade or a basket. But of course, stop-loss and take-profit are available, as well as break-even and trailing stop. 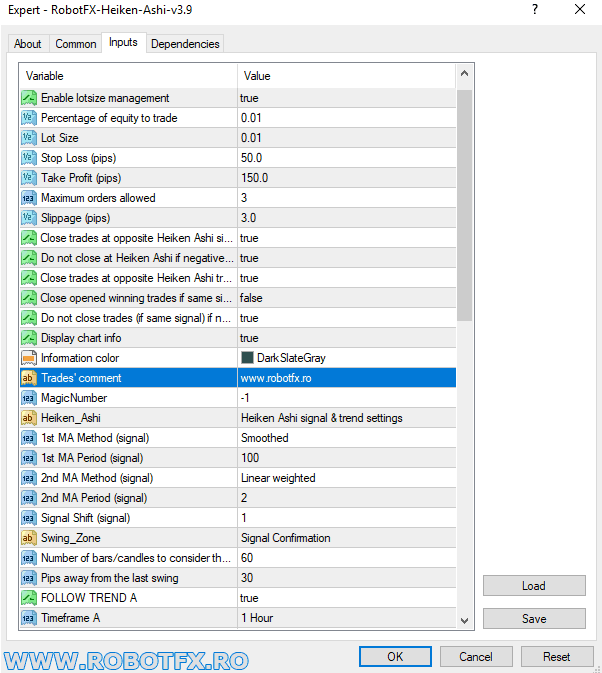 The number of grid trades can be restricted by the trader, as well as the number of hedging trades (if hedging is enabled). The distance between the trades and the distance hedging would start can also be changed by the trader. Enable Hedging - whether or not to enable hedging Hedging is opening of opposite type of trades, used to counter losses from a losing trade. 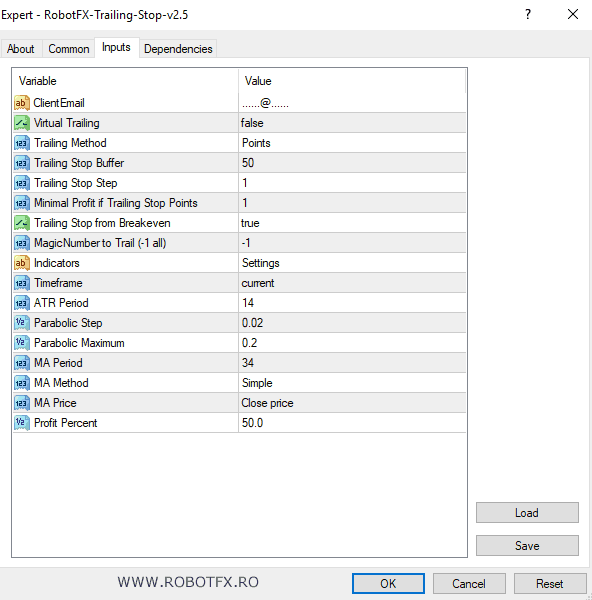 A complex hedging expert advisor is the RobotFX Auto Recovery. 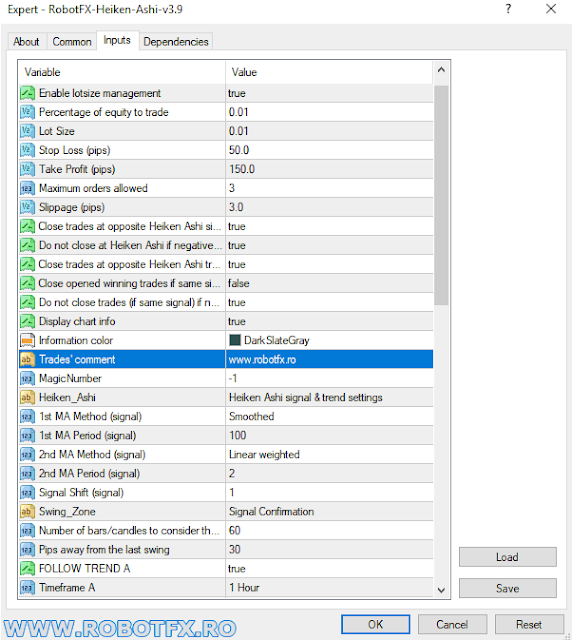 Lotsize multiplier (for hedging trades) - use this multiplier to increase or decrease the lotsize of the hedging trades Hedging trades are also restricted by the “Maximum trades of the same type” above. Warning: one of the limitation of this EA, in its current version (1.5), is that it does not consider or interfere with the existing trades on the chart. That applies to any trades, even those opened by itself. 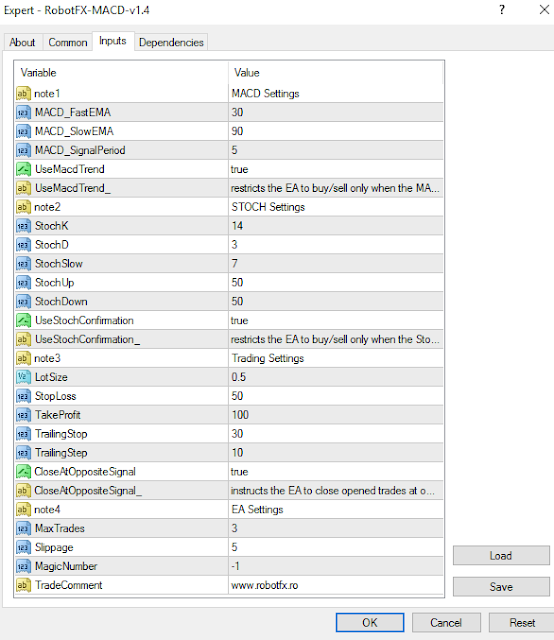 So if the EA starts a grid trading and the trader closes the MetaTrader trading terminal, there’s a chance that the EA won’t do anything after restart. This is useful info for traders who trade from home, and often switch off their computers; for those using VPS, that is supposed to be online all the time, it shouldn’t be any issue. This may also be changed in a future version. 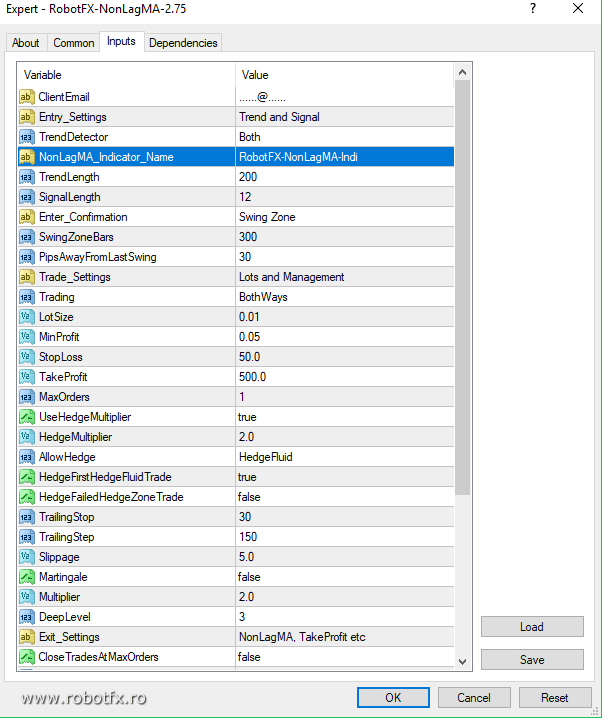 Make sure that this indicator exists in the MetaTrader’s Indicators folder, otherwise the EA will not function properly. PipsAwayFromLastSwing - EA will open new trades only if the nonlagma signal occurs this number of pips away from the last swing. Set to 0 to ignore the swing zone confirmation. StopLoss - the distance in pips from the first trade where the pending (hedge) opposite order will be placed (this is also the width/height of the recovery zone, if AllowHedge = HedgeZone) if you are hedging. If not hedging, this is a classic stoploss. 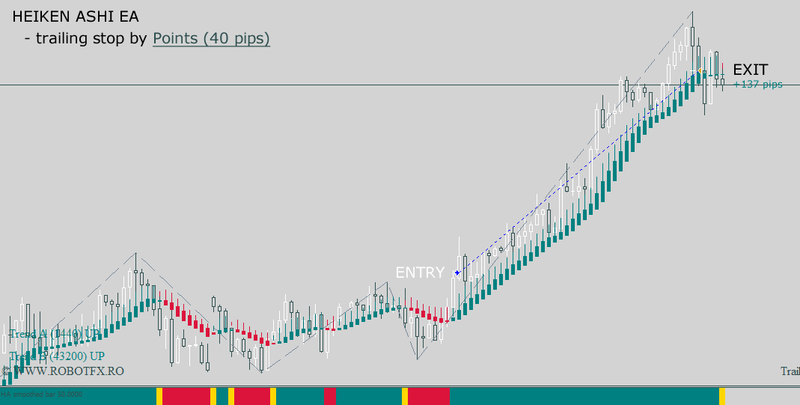 TakeProfit - Take profit distance in pips. 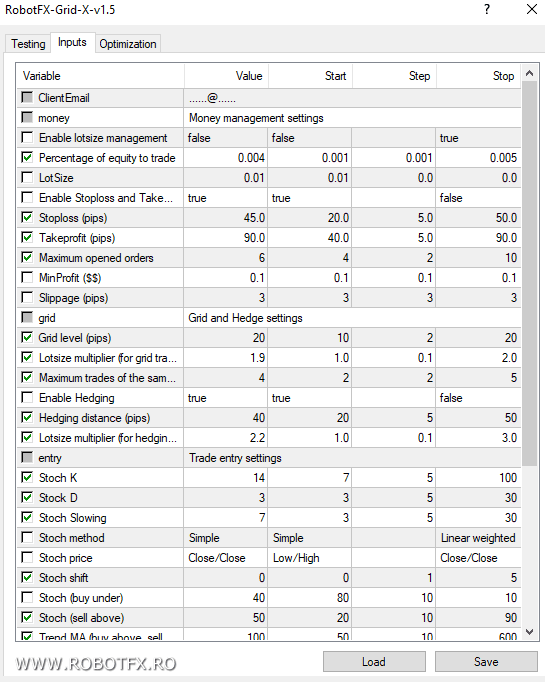 The ratio between StopLoss and TakeProfit is also used to calculate the opposite hedging trades.